Every year, 25,000 people travel to Southeastern Arizona, hoping to see an Elegant Trogon. Photographer Steve Wolfe was one of the lucky ones -- and spotted this gorgeous male. This area, as well as southwestern New Mexico, marks the northernmost extent of its range, which continues south to Costa Rica. 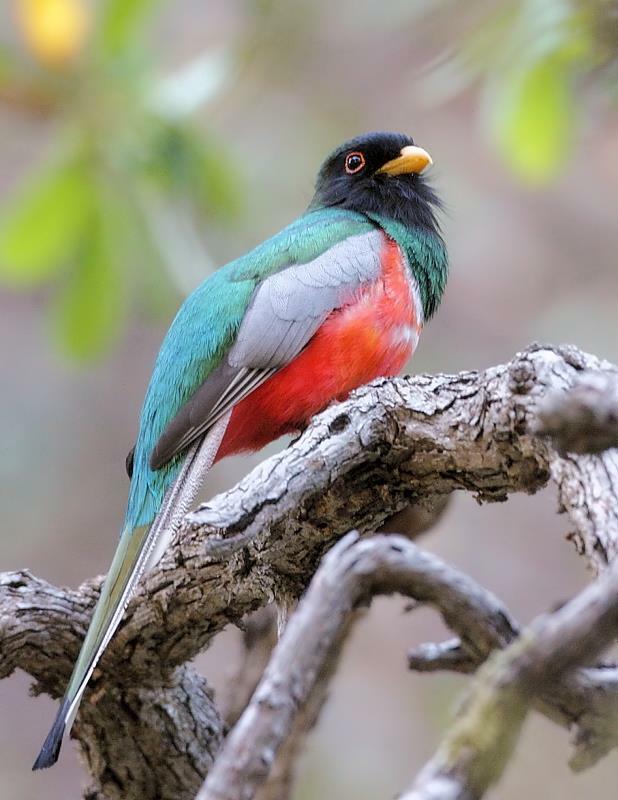 Listen to BirdNote shows (as well as videos) about Elegant Trogons.